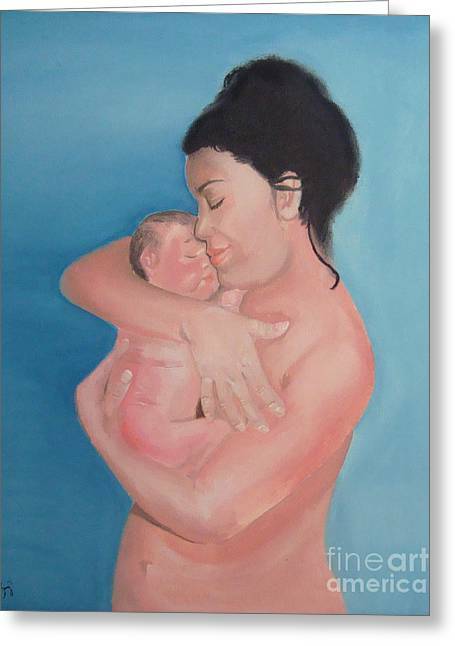 Maternidad / Motherhood is a painting by Angela Melendez which was uploaded on January 20th, 2013. I'm the proud mother of a two-years-old beautiful and smart boy. 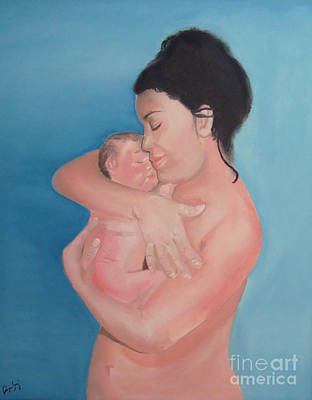 Becoming a mother is the most amazing, incredible and the greatest thing that has ever happened to me. 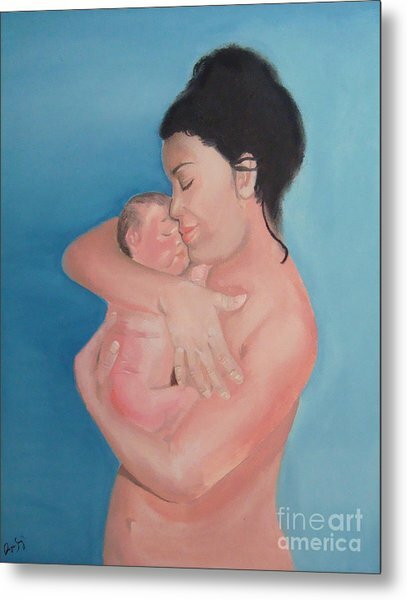 That is why this painting means so much to me. With simplicity when it comes to the colors and objects one can see, yet full of meaning. The hug of a mother, that first and warm hug when she becomes a real testimony of the miracle of life... No words can describe it. Thanks Nicole, it humbles me that others may feel what I felt when doing this painting, thanks again, for your nice comment and for the vote. Thank you for your comment Ana, really appreciate it, thanks for the vote too.